Traditionally the study of security within International Political Economy (IPE) has been associated with realism. From this theoretical perspective, states seek security in a fundamentally anarchic international system and global economy. Hegemonic stability theory, one of the cornerstones of the ‘theory’ part of an undergraduate or postgraduate IPE module, seeks to explain the contingent securing of this environment so that predictable behaviour can emerge. In her influential 1988 book States and Markets Susan Strange investigated security as one of the four structures of the international political economy, alongside finance, production and knowledge, but again conceived of security largely in national militarist terms and as something separate to finance. Taking a different tack, my provocation here is to ask about the security of finance itself. Online banking, contactless purchases and app based spending has enabled many people in more affluent parts of the world to manage their everyday spending in a convenient and spontaneous way. Consumers have more or less accepted that such easy financial lifestyles, where payments can be made at the press of a button or tap of a card, are worth the risk of payment fraud and the active generation of passwords via mobile key pads and the quick reporting and cancelling of lost cards. 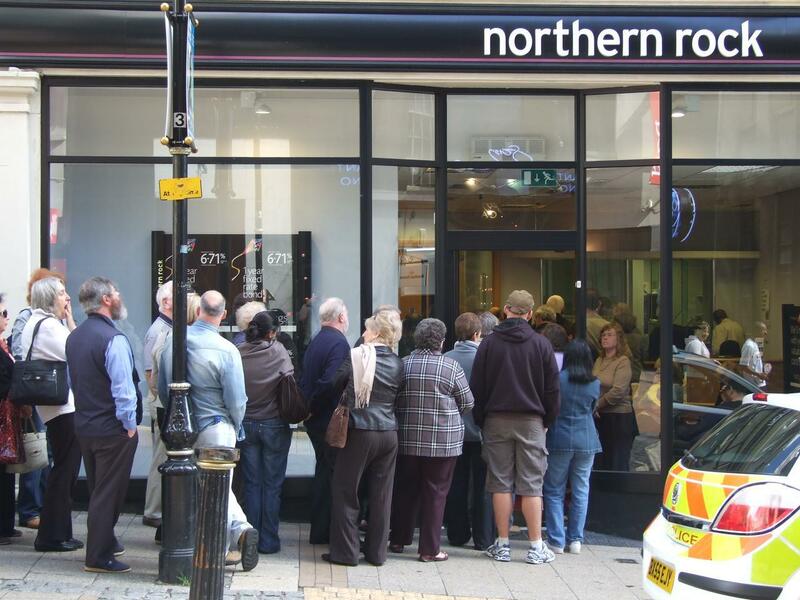 To completely protect our bank accounts would simply cause too much disruption to our busy lifestyles. The circulations of money that occur with a debit card can be driven by the receipt of wages or student loans and continued by the payment of tuition fees, mobile phone bills and rent. It is these everyday transactions that determine the velocity of money – how fast it passes from one owner to the next. If this velocity slows, then our expectations about when transactions will be completed can be confounded. For instance, if ATMs cannot dispense enough cash then people may suddenly find that they are unable to purchase goods and services required at that point in time. This is also a useful framework for thinking about ‘global finance’. For example, contracts relating to foreign exchange (forex) circulate at a monstrous volume when compared to activity in other markets such as equities traded in stock exchanges. 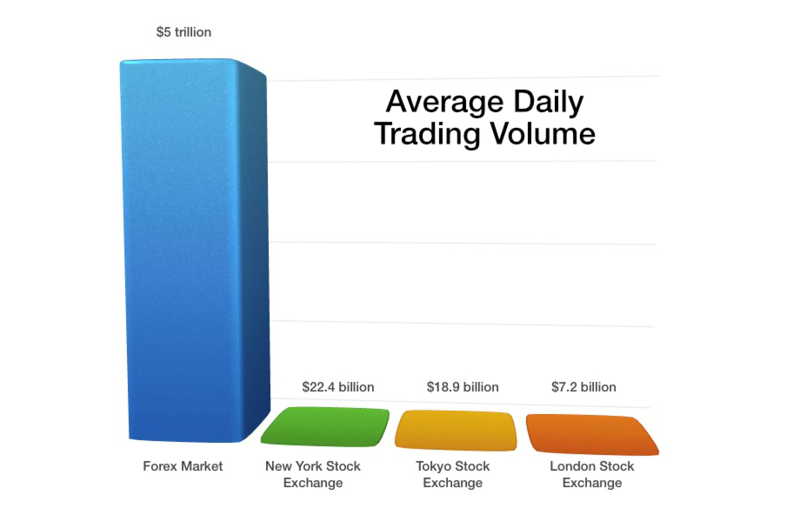 This is important as a large trading volume produces high levels of liquidity meaning – in theory – that buyers and sellers of forex can trade more easily and that contracts approximate the ‘proper’ market price. It also has impacts at the scale of the individual. Because personal finance increasingly intersects with wholesale financial markets, dislocations to global financial circulations are greater problems in the liberal life of the population. Global financial circulations are not separate to the ‘real economy’ but support it, and severe restrictions to credit supply can lead to a recession. My argument here is that financial circulations are governed through a security logic that seeks to maintain what the philosopher Michel Foucault identified as vital circulatory processes. Such security is precisely a matter of both embracing and mitigating the future, neither pre-emptively ruling it out nor simply and fatalistically accepting what will be. Crucial to governing finance through security is the way that risky objects are not eliminated but are instead circulated alongside the safe. Here we could think of the way that toxic assets circulated alongside the highest rated assets in the years prior to the Global Financial Crisis. Furthermore, this is not a governance that prevents failure or works through prohibition. Regulators believe finance needs to be governed in a way that ‘allows things to happen’ because as the Bank of England’s chief cashier put it, “financial services is an industry where arbitraging rules and regulations is habitual…money is made this way. We have no desire unduly to suppress enterprise and innovation”. Alongside this, both during and after the Global Financial Crisis, we became familiar with the terminology of banks that were ‘too big to fail’. And yet, regulators such as the Bank of England, remain adamant that it is “clear that we are not trying to design a regime in which no bank should ever fail. That’s not what happens in other industries and it would not create the right incentives around risk taking”. In other words, central bankers believe that a system in which no bank is allowed to fail would create ‘moral hazard’ and promote excessive risk taking. The way the banking system is governed is one in which risks are not shut down but instead events, such as bankruptcy and liquidation, are allowed to happen. So, for example, Lehman Brothers in the US was allowed to fail in September 2008 when huge losses accrued by circulations of toxic assets led the bank to file for bankruptcy. The media react to the bankruptcy of Lehman Brothers. Because financial security allows things to happen, ‘resilience’ becomes fundamental. This term can refer to both steps taken autonomously by banks in managing their own risks, or the way that a system is able to proactively adapt to and recover from disturbances. Banks that are well capitalized are able to function normally, borrowing from other banks and extending lines of credit to both banks and the public. Capitalized banks are secure because they are able to withstand shocks and so borrowers and lenders have confidence in them. Prior to the Global Financial Crisis, a security logic of circulating extremely risky financial instruments alongside the safe operated in an undercapitalized system, which was more vulnerable to extreme events happening. These events, such as a freeze in the lending between banks, did cause huge problems for the financial system. Following the Crisis, regulators have therefore tried to visualize and understand risk better. Systemic risks are now conceptualized with much greater precision. Regulators have also started to prepare for ‘low probability-high impact’ events with a widening of the risk imagination. Being prepared for such risks requires both individual banks and the system to be better capitalized. This is a vision for a financial system as a space of circulations in which events, such as extreme losses are allowed to happen, because capital absorbs losses and inspires confidence. During the Global Financial Crisis, the US Federal Reserve carried out a ‘stress test’ on American financial institutions and this is believed to have been a turning point in terms of governance. Since the crisis, the Bank of England has carried out its own tests to model the impact of hypothetical shocks on the regulatory capital held by banks. So, for example, one might test the impact of a deep recession, a sovereign debt default by Greece, and a spike in oil prices. The scenario is drawn up at the Bank of England and communicated to the banks, which then have to expand the scenario and assess its impact on their balance sheets. Banks have to communicate both the amount of capital that has withstood the scenario as well as detailing their methodologies and internal governance practices. Such practices have been also been adopted by the European Banking Authority, again using its own methodology. 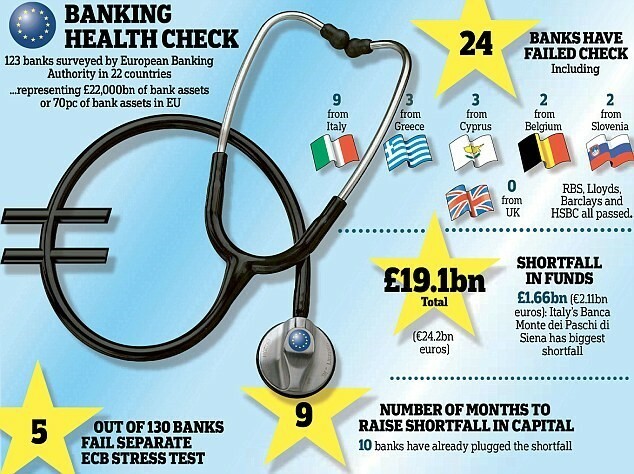 A stress test or ‘health check’ conducted in 2014 on 123 banks across Europe. In addition to stress testing, by 2019, the UK regulators want ‘too big to fail’ banks to be ring-fenced and hold a systemic risk buffer. Ring-fencing is the practice of a company creating a legal entity separate from itself in order to protect certain assets. In this case it requires core retail banking to be separated from investment banking, in theory making it less likely that failure in one part of a banking group spreads to the rest. Systemic risk buffers are designed to prevent and mitigate long-term, non-cyclical systemic risks by requiring banks to reserve additional amounts of capital depending on the threat they pose to the system as a whole if they were to collapse. This in turn requires metrics to assess ‘systemic importance’ and the size of the buffer that is needed accordingly – a contentious process given that it inevitably restricts the money available for banks to lend and invest, and can privilege some business models over others. Reflecting on the progress made in the decade after the Global Financial Crisis, the Governor of the Bank of England was in confident mood: “The stress test results, taken together with banks’ capital plans, indicate that the UK banking system would have the capacity to lend to the real economy even under… a severe scenario”. However, this has not stopped calls for much greater levels of bank capitalisation as the surest route to systemic financial security, meaning that a greater ratio of equity would be held as a percentage of risk-weighted assets. For example, writing in The Financial Times the respected journalist Martin Wolf has criticized regulators for engaging in “the alchemy of risk-weighting” and ignoring the fundamental problem that banks remain over-leveraged, i.e. too much of its asset portfolio is financed through debt rather than equity. Indeed, the man charged with investigating and suggesting the post-crisis reforms in the UK, Sir John Vickers, has made the case that banks should be required to have at least twice as much (equity) capital as stipulated in the regulator’s reforms. However, we might well ask if this as cut and dried an issue as these critics suggest. After-all, the capital reserve requirements drawn up by the Basel Committee in 1988, which provided the international standard on what makes for a safe banking system, are widely considered to have been arbitrary. Technical solutions are wrought with contestation and ambiguities. These regulatory debates about what makes for a secure economy also have implications for how we do IPE. Whereas Marxist theory supposes that the logic of (financial) capital has contradictions that emerge in crisis at certain pressure points, my reading of the Global Financial Crisis suggests that a logic of security has been just as prominent, and that this does not seek to induce stability but rather ensure (profitable) flows. Neither is this notion of security captured by realism’s state-centric focus on strategic control, which ignores the way that security is written into the market. As long as financial risk management works by mitigating an uncertain future – neither merely accepting it nor preventing it from happening – the techniques of resilience, from stress tests to buffers, will be fundamental to the way that the global political economy is governed. Martin, R. (2007). An Empire of Indifference: American war and the financial logic of risk management. Durham NC: Duke University Press. Langley, P. (2015). Liquidity Lost: The Governance of the Global Financial Crisis. Oxford: Oxford University Press. Morris, J. H. (2018). Securing Finance and Mobilising Risk: Money Cultures at the Bank of England. London: Routledge. de Goede, M. (2010) Financial Security. In Burgess, J. P. (ed.) The Routledge Handbook of the New Security Studies, London: Routledge. Langley, P. (2013) ‘Toxic assets, turbulence and biopolitical security: Governing the crisis of global financial circulation’, Security Dialogue, 44(2), pp. 111-126. Wesseling, M., de Goede, M., and Amoore, L. (2012) ‘Data wars beyond surveillance: Opening the black box of Swift‘, Journal of Cultural Economy, 5(1), pp. 49-66.